Contact Us - Woodfarm Kennels and Cattery are based in Sedgley (near to Wolverhampton, Stourbridge, Walsall and Dudley), providing high quality boarding accommodation for your pets (Cats & Dogs) whilst you are enjoying your holidays. Woodfarm Kennels and Cattery is situated in Sedgley, 10 minutes drive from Wolverhampton, Stourbridge and Dudley, yet set in beautiful countryside. 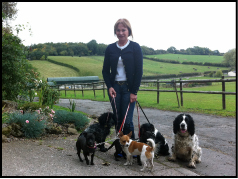 Woodfarm Kennels and Cattery has been licensed by South Staffordshire District Council for the last 30 years. All dogs and cats must be fully vaccinated, certificates should be produced on arrival, we also request that all pets be wormed and treated for fleas regularly, prior to dropping off. Pets can be delivered / collected at any time during opening hours, but we recommend delivery as early in the day as possible, this will give you pets more chance to settle in.